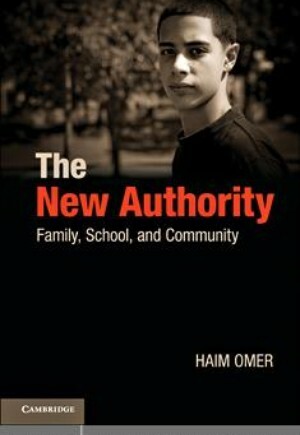 Haim Omer builds on his previous work to present a new model of authority for parents, teachers and community workers that is suitable for today's free and pluralistic societies. This new authority contrasts with traditional authority in that it emphasizes self-control and persistence over control of the child, a network of support over a strict hierarchy, taking mutual responsibility for escalations over holding the child solely responsible, patience over threats, non-violent resistance over physical force, and transparency over secrecy. In addition to a thorough discussion of the underlying theory, The New Authority presents a practical program for families, schools and communities. Dr Omer provides specific instructions to combat violence and risky behavior at home and in school, increase parent and teacher interest and support, and implement interventions that increase safety, improve atmosphere and generate community cohesiveness.